Duke was the King of Southtown and the leader of the Mephistopheles gang, a sub-syndicate of the underworld organization Addes. He answers to Jivatma, who he used to work for before he became Mephistopheles' leader. Jivatma refers to him as Type "D" (although he hates this name) and his underling, Nagase, as Type "N." Currently, Duke is seen as a traitor to Addes, although he is a member of The Children of Kokaviel (a group of Addes' top authorities). He is connected to Lien Neville in that he is responsible for her parents' death but spared her life. Duke is also responsible for the death of Fate, Alba and Soiree's mentor, but not directly by his own hand. Duke enters the next tournament to "redeem" himself after being defeated by Alba, and therefore, losing his position as the King of Southtown. He apparently underwent a surgical modification early on after his parents vanished. He underwent the surgery so that Addes would cure his sister, who died for an unknown reason. The fact that she died greatly bothers Duke and he often starts the statement "It is an old story...20 years ago." 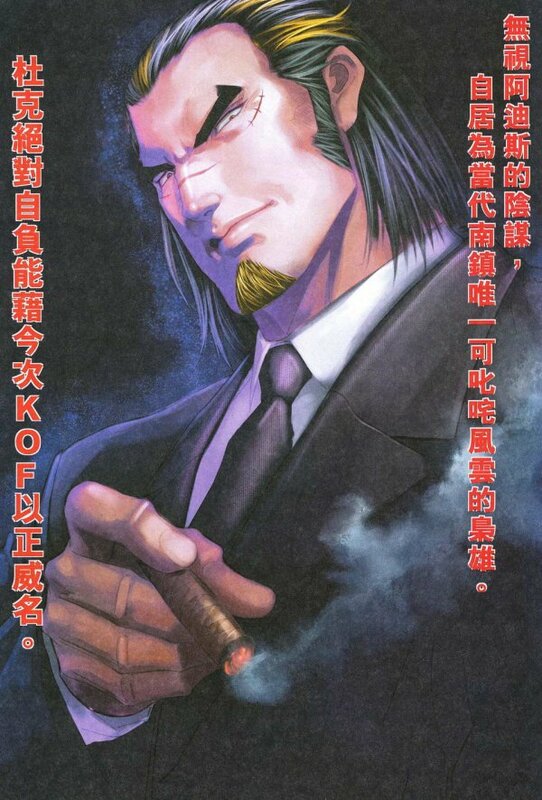 I thought Duke was a kinda lame boss in the first Maximum Impact, but his return in KOF: MI2 actually improved his design quite a bit. Being a default character helped, along with having a better and more balanced moveset. 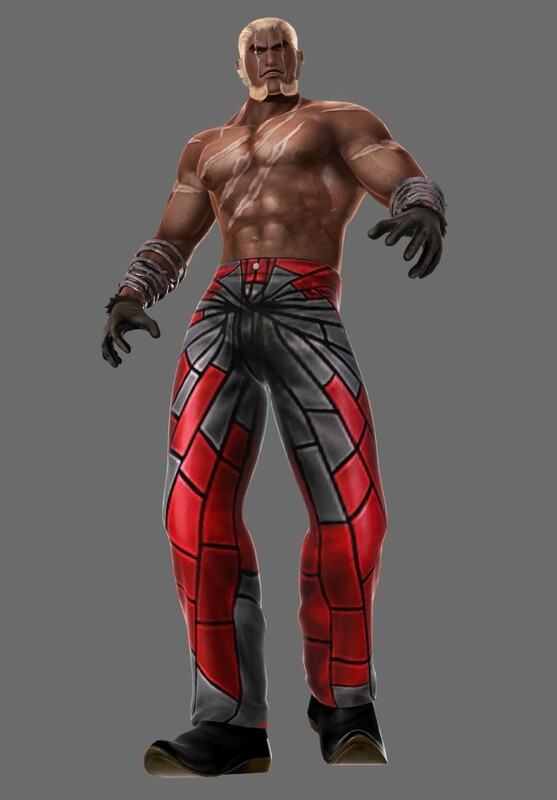 However, I do have so say I think his 2nd player appearance is hideous and unnecessary... but some of his "other" alternate outfits are halfway decent. 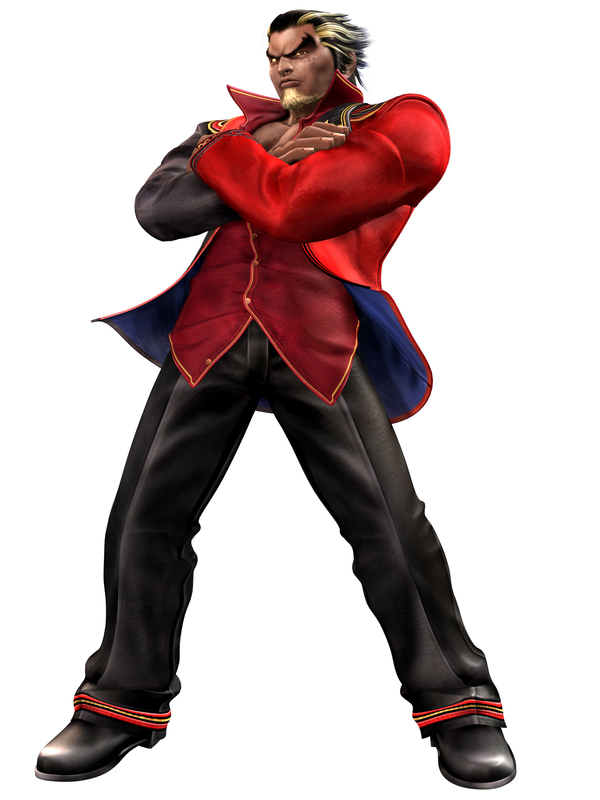 Duke also resembles Kazuya in some ways... but looking like Kazuya doesn't necessarily equate to him being a "cool" design... but he's alright I guess.